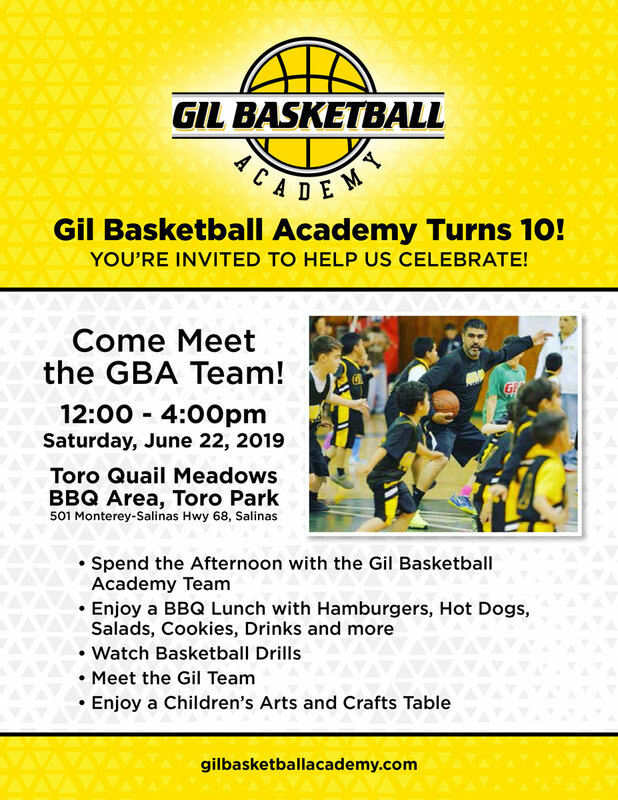 The Gil Basketball Academy was formed to promote the sport of basketball in East Salinas, as well as the overall development of local student-athletes desiring to compete at the highest athletic levels of competition. GBA offers camps, clinics, and individual sessions teaching athletes the skills and techniques of shooting, passing, dribbling, rebounding, and defense. The athletes will be coached by Jose Gil and other qualified and experienced coaches. 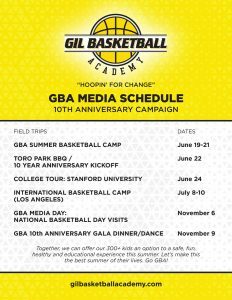 GBA is about teaching not only basketball, but this academy will build confidence and character in all GBA members while having fun. 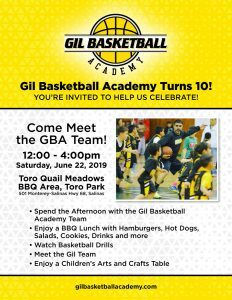 The vision of the Gil Basketball Academy was born out of the belief that one of the most effective ways to strengthen a community is for its youth to be surrounded by positive adult role models, positive peer influences, and immersed in meaningful and constructive activities. 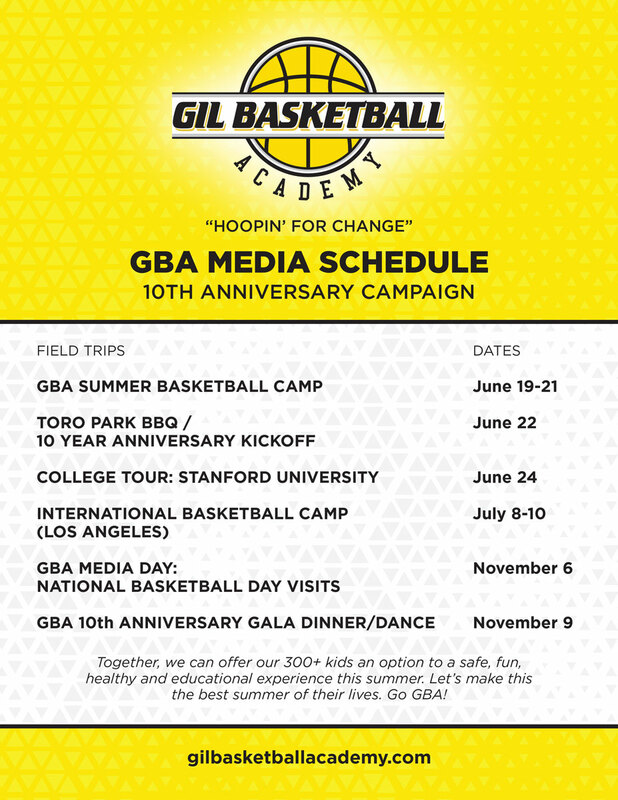 As such, GBA’s mission is to support the youth of Salinas “Shoot for and Reach” their positive goals by participating in organized basketball camps, clinics, college tours, motivational speaker forums, field trips and trips beyond Salinas. GBA’s objective is to target boys and girls as young as 4 all the way to 17 years of age. GBA aims to “hook” kids beginning at a young age and sustain them throughout their schooling years. We also hope to combat obesity and diabetes by providing organized physical activities and promoting healthy eating habits. At the present time, there are over 450 kids in our academy! Using Project Cornerstone’s research-based developmental assets approach as a guiding framework, we also hope to help our youth build the developmental internal and external assets they need in order to grow up to be caring, competent, responsible, and resilient. The educational component of GBA is what our youth needs at this present time of turmoil. We truly believe that this year’s homicides in Salinas could have been prevented if a program like ours was in their lives and someone showed them that the community cares about them. One of the primary goals is indeed to teach youth about every facet of the game of basketball. 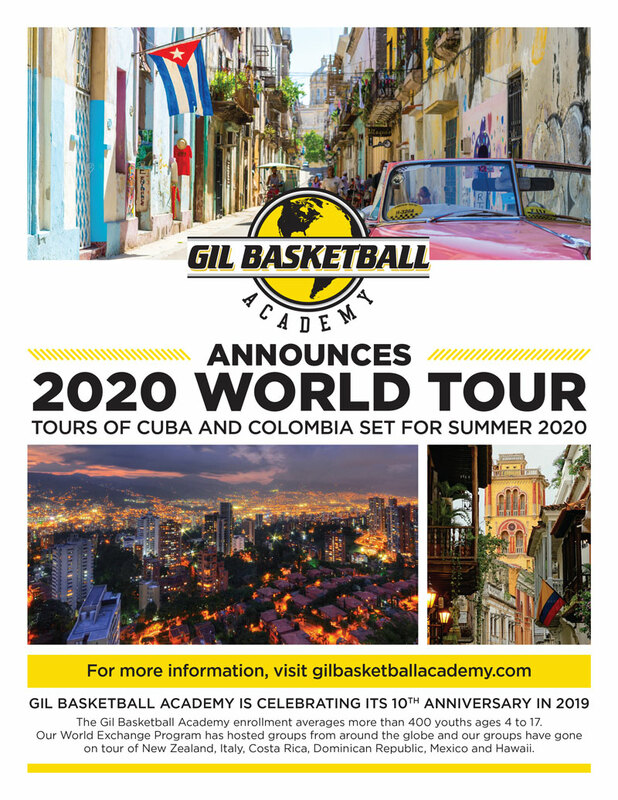 The larger goal of GBA is to teach our youth how to become healthy, productive, and contributing citizens of their community by exposing them to life beyond Salinas by offering our WORLD TOURS.